The unsung hero's of many offices and businesses are the admin people that hold things together behind the scenes. This day is a day to give a small gift or flowers to show they are not taken for granted! 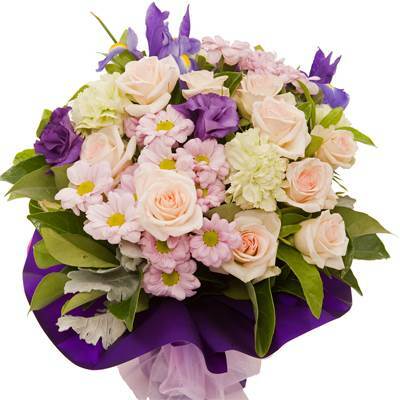 In 1952, over sixty years ago, the National Secretaries’ Association first organised Administrative Professionals’ Day and called it “National Secretaries’ Day”. The association is now called the “International Association of Administrative Professionals” and they were joined in this endeavor by a group of manufacturers specialising in office products. This was undertaken to show appreciation for all the contributions secretaries give to the workplace. This is really an unofficial holiday celebrated each year on the final Wednesday of April. All clerical employees, in addition to secretaries, are included on this special day. This is why in 1998 the holiday’s name was changed from just Secretaries’ Day to Administrative Professionals’ Day in order to recognize the efforts put forth by receptionists, paralegals and other office support staff. The holiday is observed as part of Administrative Professionals’ Week, which encompasses the last full week in April. The custom in the United States is to present one’s secretary with candy, flowers, or other small gift items to celebrate the day. Often the boss takes his or her secretary out for a nice lunch as well. The holiday has historically been celebrated on the 3rd or 4th Wednesday in April each year. In New Zealand, it is observed on the 3rd Wednesday, which April 15th this year. In Australia, it is always observed on the 1st Friday in May so this year it will be May 1st. In South Africa, they do it a little differently. They recognize Office Professionals on the 1st Wednesday in September, which will be September 1st this year, and Receptionists are recognized separately, on the 2nd Wednesday of May, which will be May 13th this year. In France, they celebrate the holiday on the 3rd Thursday in April, which is April 16th this year. In Hong Kong, they celebrate every year on a Wednesday which occurs in the last full week of April. In India, the day of recognition takes place on August 4th every year in honour of the work done at the Don Bosco School, Park Circus, by the group’s Administrator. This tradition was started 6 years ago and is observed now all over India. In 1952, Harry F. Klemfuss of Young & Rubicam started National Professional Secretaries’ Week as well as National Secretaries’ Day. He valued and wanted everyone to understand what a vital role secretaries play in a company or business. His stated goal was to inspire more women to become secretaries (which are now called administrative assistants). Using his influence in public relations, Klemfuss set out to promote the importance of this profession. In doing this he created the holiday to celebrate and recognise the important role of administrative assistants. Charles Sawyer, The U.S. Secretary of Commerce in 1952, first proclaimed an official period of appreciation and celebration to be held June 1 – 7 that year. 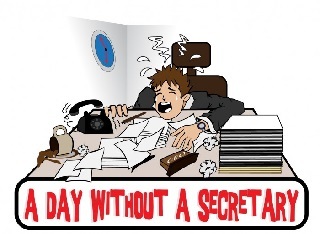 Wednesday, June 4th was designated “National Secretaries’ Day”. The National Secretaries’ Association (now called IAAP) held the very first Secretaries’ Day that year, with an association of various corporate groups providing support. In 1955, the date of observance for National Secretaries’ Week was changed to the last full week in April. In 1981, the name was officially changed to Professional Secretaries’ Week, and changed again in 1998 to Administrative Professionals’ Week, so it could include the ever-growing responsibilities and many job titles of the administrative support staff throughout the workplace. Throughout the years, Administrative Professionals’ Week has grown to be one of the most important workplace observances. This day of recognition is celebrated all over the world, which brings together millions of workers for social gatherings, community events, and corporate activities in recognition of support staff by bestowing gifts to show thanks. In the U.S., the day is usually celebrated by giving a gift to one’s assistant, perhaps candy, flowers, small remembrances, a nice lunch or even time off work. Today the sole sponsor of Administrative Professionals’ Week as well as Administrative Professionals’ Day is the International Association of Administrative Professionals (IAAP).